The life of someone with Li-Fraumeni Syndrome (LFS) is not a pleasant one. A rare genetic disorder that usually runs in families, this syndrome is characterized by heightened risk of developing cancer—multiple types of cancer—at a very young age. People with LFS, as the syndrome is often called, are especially susceptible to osteosarcoma, a form of bone cancer that most often affects children. Despite numerous research advances, survival rates for this type of cancer have not improved in over 40 years. But according to new research from Mount Sinai Hospital and School of Medicine, the prognosis for these patients may not be so dire in a few years. Reporting today in the journal Cell, researchers describe how they used a revolutionary type of stem cell technology to recreate LFS in a dish and, in so doing, have uncovered the series of molecular triggers that cause people with LFS to have such high incidence of osteosarcoma. The scientists, led by senior author Ihor Lemischka, utilized induced pluripotent stem cells, or iPSCs, to model LFS—and osteosarcoma—at the cellular level. Discovered in 2006 by Japanese scientist Shinya Yamanaka, iPSC technology allows scientists to reprogram adult skin cells into embryonic-like stem cells, which can then be turned into virtually any cell in the body. In the case of a genetic disorder, such as LFS, scientists can transform skin cells from someone with the disorder into bone cells and grow them in the lab. These cells will then have the same genetic makeup as that of the original patient, thus creating a ‘disease in a dish.’ We have written often about these models being used for various diseases, particularly neurological ones, but not cancer. “Our study is among the first to use induced pluripotent stem cells as the foundation of a model for cancer,” said lead author and Mount Sinai postdoctoral fellow Dung-Fang Lee in today’s press release. 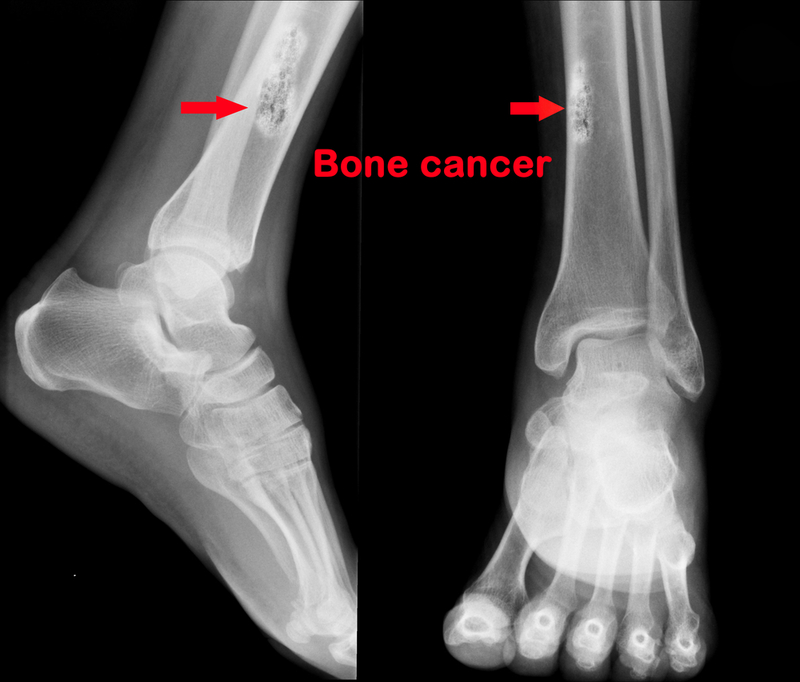 Specifically, the team discovered that the ultimate culprit of LFS bone cancer is an overactive p53 gene. Too much p53, it turns out, reduces the amount of another gene, called H19. This then leads to a decrease in the protein decorin. Decorin normally acts to help stem cells mature into healthy, bone-making cells, known as osteoblasts. Without it, the stem cells can’t mature. They instead divide over and over again, out of control, and ultimately cause the growth of dangerous tumors. But those out of control cells can become a target for therapy, say researchers. In fact, the team found that artificially boosting H19 levels could have a positive effect. “Our experiments showed that restoring H19 expression hindered by too much p53 restored “protective differentiation” of osteoblasts to counter events of tumor growth early on in bone cancer,” said Lemischka.